A change from classical music, the founders of this band describe themselves as an “epic music band”, though, in my opinion, some of their music has a ‘classical’ flavour. I believe more people have heard their music without realising the origins. 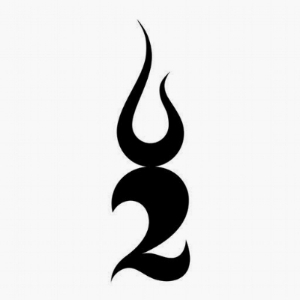 ‘Two Steps From Hell’, an American music production company based in Los Angeles, was formed by Nick Phoenix and Thomas Bergersen in 2006. Their focus is on music for films and trailers, ranging from the obvious – Pirates of the Caribbean, X-Men, Star Trek, and The Dark Knight – to the not-so-obvious – Wall-E, Up, and Anna Karenina. And that’s only naming a few. They also do music for video games, including Star Wars: The Old Republic, Elder Scrolls Online and Assassin’s Creed IV: Black Flag; and for tv series including Game of Thrones, Sherlock and The Walking Dead. 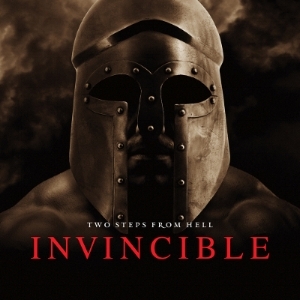 They released their first album, ‘Invincible’ in 2009, establishing ‘epic music’ as a new and unique musical genre. The song ‘Heart of Courage’ from their album ‘Legend’ was used in the London 2012 Olympics for the athletics final. Born in London, Nick Phoenix grew up in New Haven, Connecticut. He studied classical piano and played in rock bands from the age of 12. Living in LA, he began composing music for film trailers, and had the good fortune to work with Hans Zimmer. Thomas Bergersen was born in Trondheim, Norway, where he lived for the first 22 years of his life. By his own admission, he was quite the rebel and believes that’s why he started composing his own music. The first piece of theirs that I heard was ‘United We Stand Divided We Fall’ from ‘Archangel’; I totally fell in love with it. To be honest, Liam was listening to it in relation to something else. He was the one who searched around and discovered Two Steps From Hell. I listened to a couple of others and the first full album that I listened to was ‘Balls to the Wall’; ‘Tattoo Drum Corps’ is my favourite from that album. Just after the 3 minute mark, this piece completely floored me! I finally remembered to check if their albums were for sale as I prefer physical copies instead of digital downloads. Now have the first one, ‘Invincible’; as I said to Liam, we can now have ‘epic sitting-in-traffic music’!